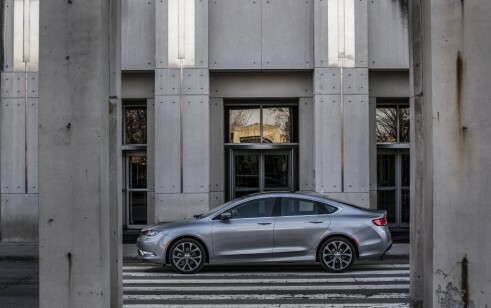 The Chrysler 200 appeals more for style than functionality or value. 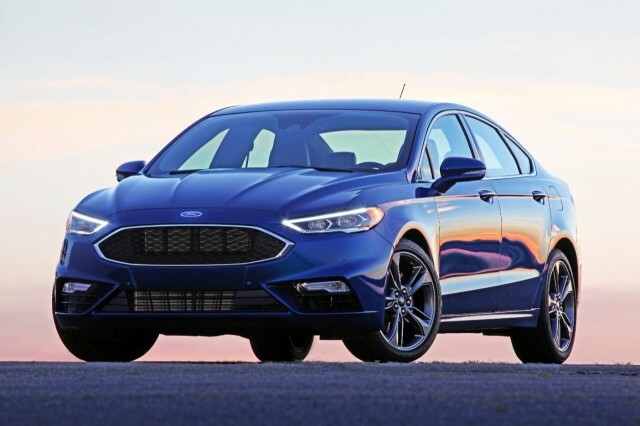 The Ford Fusion is one of the most sophisticated picks in this class; it feels like a premium car in many respects, and you have a wider range of powertrains, including a hybrid and a new strong twin-turbo V-6. 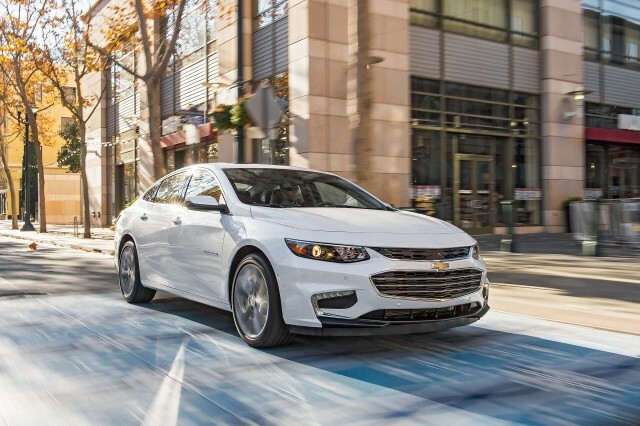 The updated Chevrolet Malibu has plenty of personality, and it also offers a hybrid. 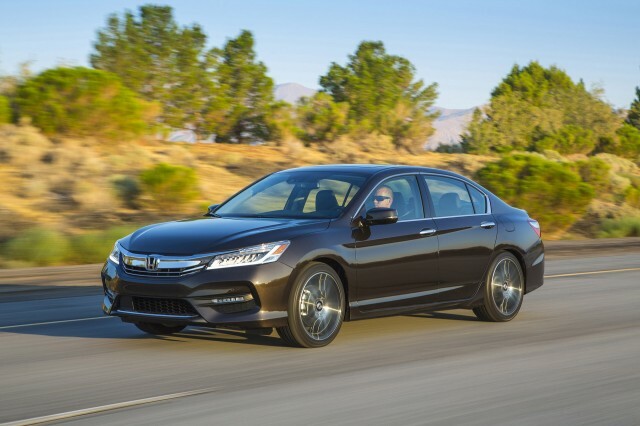 The Honda Accord appeals more on interior space and comfort and has a more traditional look, but it’s one of the best-riding, best-performing cars here; as with the Chrysler, it offers a V-6. 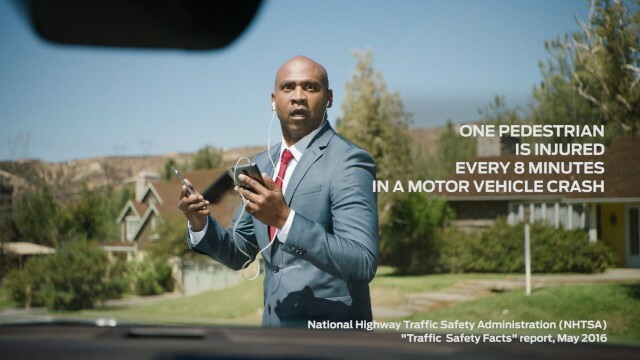 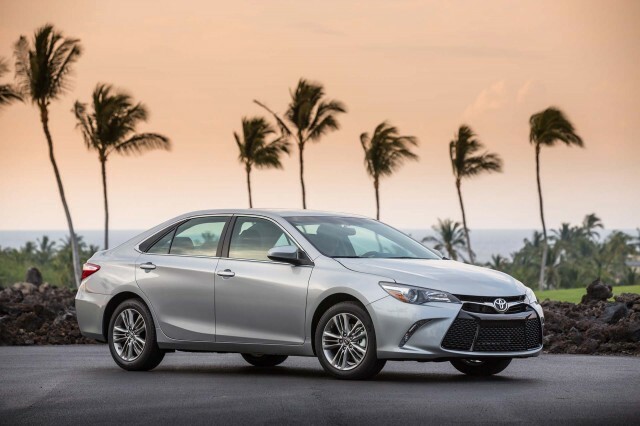 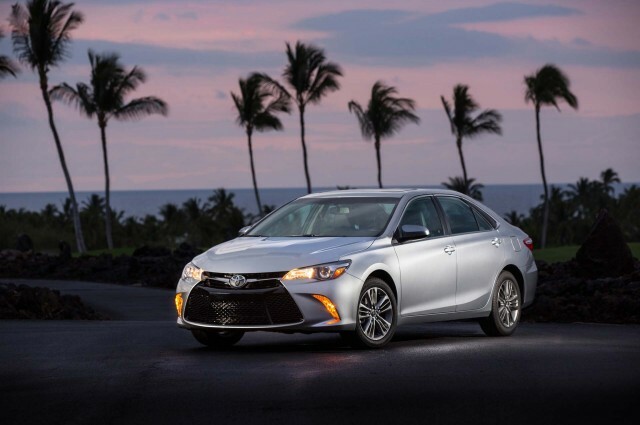 The Toyota Camry also offers a V-6 and is aimed at buyers looking for a smooth ride. 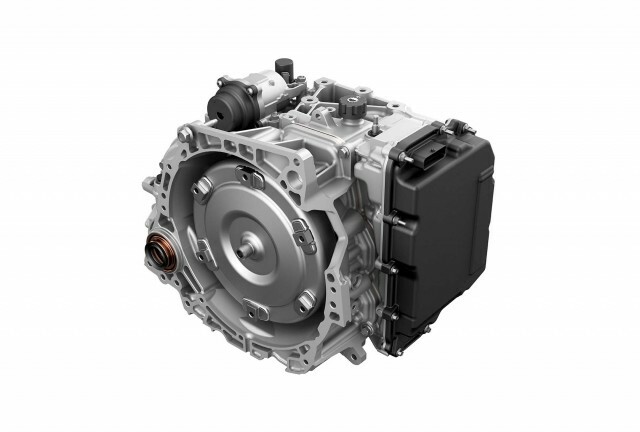 Finally, the Volkswagen Passat is one of the most anonymous-looking yet comfortable offerings in this class. 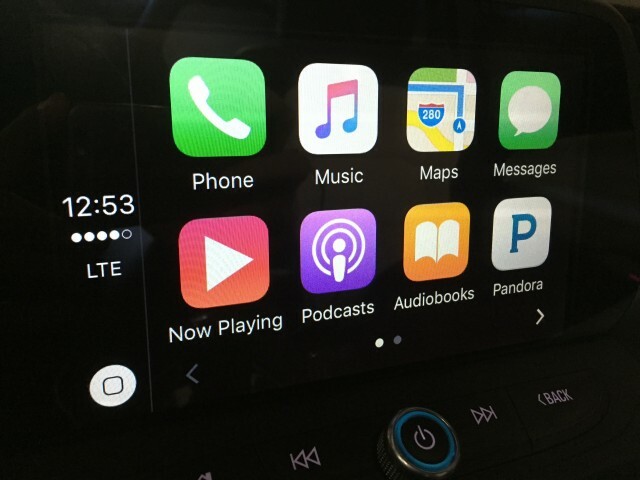 The 2017 Ford Fusion blends enduring good looks, a wide variety of powertrains, impressive interior space and comfort along with all the latest electronic safety systems and a few design upgrades. 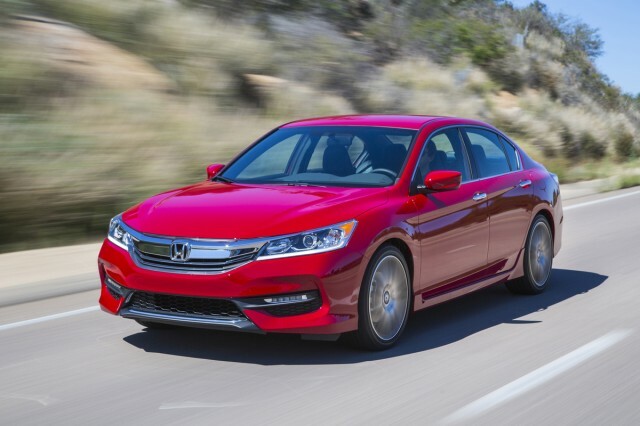 The 2017 Honda Accord remains the sensible choice; it has something for everyone, all in a polished package.